but it can be overlooked. can arrive in unexpected ways. Are you trading time for money? Here’s an opportunity to get back plenty of both. At VIM we value the commodities that mean the most in life. Number one is time. You can’t get more time in life. But you can choose to use it wisely. You can learn to make more money in less time. You can spend more treasured moments with those you love. VIM is the opportunity to carve out time for the things that mean most to you. VIM is the opportunity to grab the lifestyle that has eluded you. VIM is the opportunity to live your dreams and create your reality. VIM is the opportunity to tap into your power, forever. Commitment is usually a two-way street. Once you decide that VIM is the perfect vehicle to help you live your dreams, you also have our commitment to support your vision in every single way possible. …have the vision and the resources to help you get it done. No obstacle is too big. …see it happen over and over. Nothing is more gratifying. …have a mission to help people achieve freedom. Period. …will always have an opportunity with VIM. We’re here to stay. …have the peace of mind knowing our system is tested and true. …can create residual income that continues throughout life, in retirement and beyond. …finally found a viable way to create the life you’ve always wanted. Everything you require to make money is right here. Do you have a cell phone? Laptop or tablet? Good. You’re all set. Tap into the VIM App and your complete business system is on your screen. We’ve got you covered any way you want to work your business. Open the My Team tab to track progress of your entire affiliate organization. Click Training for a full complement of videos, scripts, advice and compensation guides. This only scratches the surface of the support and training tools available to you. The VimBiz System is an advanced, personalized marketing and contact management system. The VimBiz System is an exciting tool in our center and you are going to love everything it can do for you and your business! It has been designed to enable you to stay focused on growing your business while leaving the time-consuming sorting and sifting of prospects to the automatic features of the system. We invite you to explore all of the amazing solutions this system has to offer. And the ability to buy real time leads right at your fingertips! Can we be honest? You won’t really require a ton of training. The VimBusiness is low impact. Most people say it just comes very naturally. Of course we’ll get you started and of course we are there to guide or answer any questions you might have. Still, constant buzzing in your ear and pie charts and “don’t do this” and “definitely do that” just confuses and distracts. The more you are training, the less you are doing, and fewer dollars are coming to your pocket. Remember, this isn’t some high-wire act where one slip up and you plummet. You are on solid ground. We’ve done this many times before. We know how to help you achieve success immediately. You’ll learn from the pros right from the outset. And if there is a slip, well rest assured we are there beneath you with a big ol’ trampoline. You’ll bounce right back. PERPETUITY. That’s the word you’ll want to know. 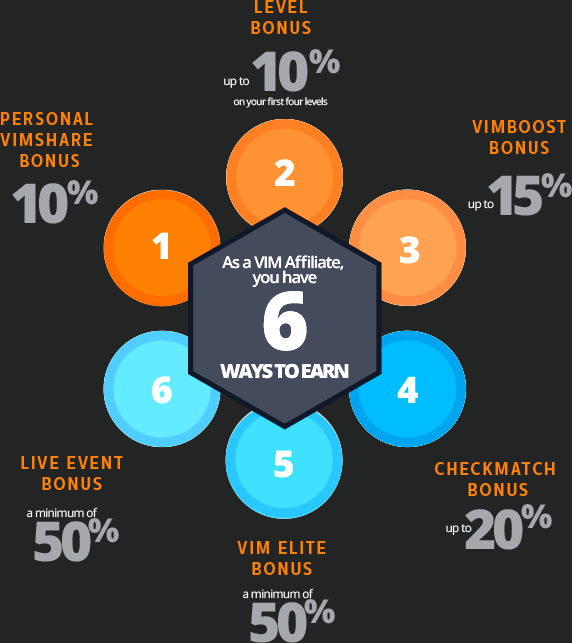 Because we can brag about our amazing VIM compensation plan and its 6 ways of paying you. That’s right, SIX WAYS TO EARN. We can talk until we’re blue in the face about our unique method that allow you the ability to MAKE MONEY RIGHT NOW. 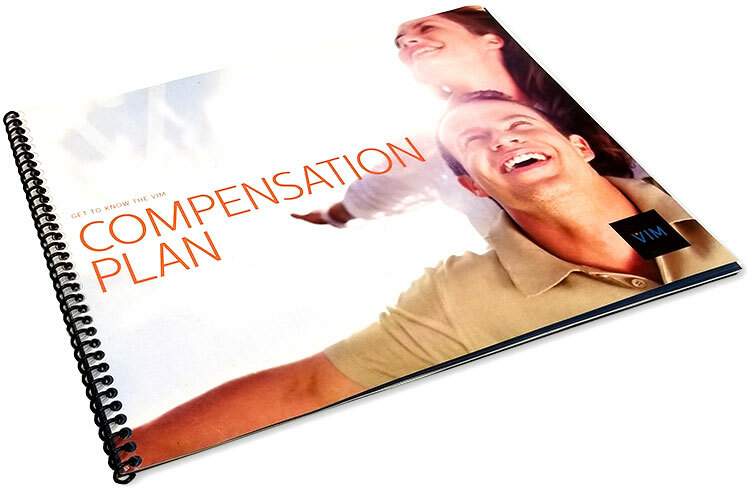 You’ll nod in appreciation at the COMMISSIONS OF UP TO 50% PAID WEEKLY. You may even love how easy it is to BUILD ORGANICALLY and leverage long-term residuals. But what will really stop your clock is this. Perpetuity: an annuity payable forever. That’s literally an ETERNITY. It won’t matter if you are behind a desk diligently working or sitting on your big behind somewhere in the sand 30 or 40 years away. The residuals you earn now will continue to roll into your bank account in perpetuity. Different aspects of VIM work best for different people. The end result is always transformative. Maybe we should just let some of our affiliates describe their experience in their own words.